Since she was a child, Lorraine has been connected to the spiritual realms and her first dreams about the future of the planet occurred before she was five years old. It was these visions that led her to many planes of existence including denial, self inflicted pain, and hopelessness. Yet it was her love and faith in God and her discovery of the Mystery School Teachings that led her to understand her childhood dreams and dedicate herself to shifting the collective consciousness. It is Lorraine’s mission to assist others with the achievement of all goals including successful relationships with the self and others, heightened spirituality, self discovery, prosperity, and service to God and The Universe. Her private sessions and teachings on these topics include Universal Kabbalah, Adam Kadmon, Divine Union Empowerment, Archetypal Pathways, Elemental Alchemy, and Keys to Mastery. She is also dedicated to restoring a sense of spiritual community and works on creating a strong foundation for others in many ways including; teachings on Spiritual Business Principles and Prosperity, facilitating Full Moon Gatherings, Planetary meditations and all forms of Sacred Ceremony. Lorraine resides in NJ with her 2 adorable cats. She holds a BA in English/ Education K-12 and has had several of her articles published in the USA and Canada. 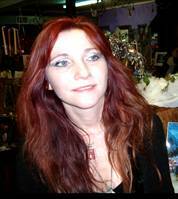 She is a Kabbalah instructor, Reiki Master, Celtic Shaman, High Priestess, 3rd Step Ritual master and initiated guide in the lineage of King Saloman. She has traveled and taught all over the world including such places as South Africa, Japan, Canada, the Caribbean, and Ireland. She loves living in the tri- state area because it truly embodies the whole globe with its many cultures and faiths coming together as a community. Sandy Sauchelli is a Certified Life Activation Practitioner and Max Meditation Instructor, trained in the ancient teachings of the Modern Mystery School. Through these healing techniques, she helps others stay present to their strengths and achieve more energy and vitality. Often people feel overwhelmed by the demands in their lives, not knowing how to change things for the better. Sandy helps them release patterns that are holding them back. After working with her, people find more clarity and confidence to get what they want out of life. Through personal experience, Sandy knows the powerlessness that fear and anxiety can bring when feeling trapped by these and other negative emotions. Her passion is to help others to see their struggles in a new light and find peace in the present moment.